Carew was one man who was delighted to see Mayo v Kerry end in a draw. He'll have no peace from now on. 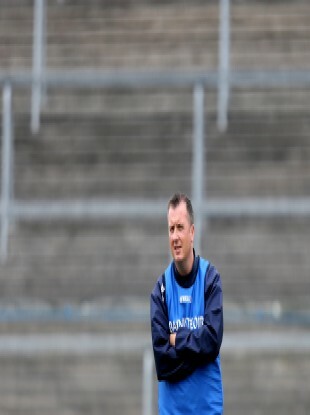 NIALL CAREW, THE ex-manager of Waterford’s senior footballers had more luck with the horses this weekend than in all of his time in charge of the Déise. Boylesports yesterday announced that one lucky punter netted a whopping €170,000 through a €5 accumulator and a €3 ‘Lucky 15′. And the bookmakers subsequently confirmed that the former Kildare selector was the one to rake in the big win. Carew’s bets were placed on three horse races and the 8/1 shot of Mayo v Kerry ending in a draw. The dramatic finish in Croke Park combined with Ribbons (10/1) in the 15.10 Deauville, Ansgar (10/1) in the 16.15 at Goodwood, Kalann (16/1) in the 17.10 at the Curragh to bring the total odds to an astronomic 18,512/1 on the accumulator. Think of all the bibs and cones you could buy with that sort of cash. Email “Ex-Déise boss Niall Carew gets lucky with €170k win from €50 bet”. Feedback on “Ex-Déise boss Niall Carew gets lucky with €170k win from €50 bet”.